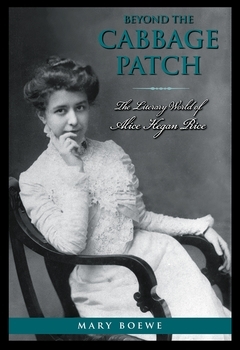 Mrs. Wiggs of the Cabbage Patch, the first of 20 books by Alice Hegan Rice, attained international stature as a book, then on the stage, and eventually as movies, both silent and talkie. The book has never gone out of print since its publication in 1901, yet this is the first book-length biography of its author. Beyond the Cabbage Patch recounts the literary career of Alice and her poet husband, Cale, in the context of the other talented writers who flourished in Louisville during the first two decades of the twentieth century. It tracks the Rices' exotic travels, including their two trips around the world, and includes their encounters with such well-known fellow writers as Mark Twain, Edith Wharton, Theodore Roosevelt, Amy Lowell, and Ida Tarbell. Structured on the chronology of Alice's publication history, each of its 20 chapters narrates a segment of the author's life and contrasts Alice's book published in that period with one or more bestsellers of the same time. Mary Boewe's study portrays the literary world at large and Louisville's participation in it at a time when both society and literature were undergoing profound changes. Mary Boewe lives and writes in Fearrington Village, near Chapel Hill, North Carolina.